Below are the details outlining the environment and software requirements as well as the instructions to consume this in your own home lab environment. The content below is a subset of what is published on the Github project, but this should get you going. For more details, please refer to the Github project and if you have any issues/questions, feel free to file a Github issue. Note: Other ESXi / VCSA 6.5.x versions can also be substituted, this includes the latest ESXi 6.5d (vSAN 6.6) release which I have also verified myself. UPDATE (04/17/18) - No changes are required to get vSphere 6.7 to work, the only minor thing to be aware of is that the vSphere Web Client customization has changed in 6.7 and so you need to set VCSA_WEBCLIENT_THEME_NAME="" as empty string or you will find that the UI will not load unless you delete the customization directory in the VCSA that was pulled down automatically. 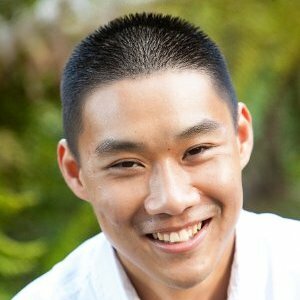 In the previous article, I provided some background on the origin of the project. In this article, we will now focus on the technical details and how the solution actually works. This solution was originally developed against an Intel NUC but I had designed it to be generic so that it could run on any system which meets the minimum requirements which is just having two disks (HDD & SSD or two SSDs) which is used to create a vSAN datastore. During the Sydney VMUG, we had did a live demo using an Intel NUC. 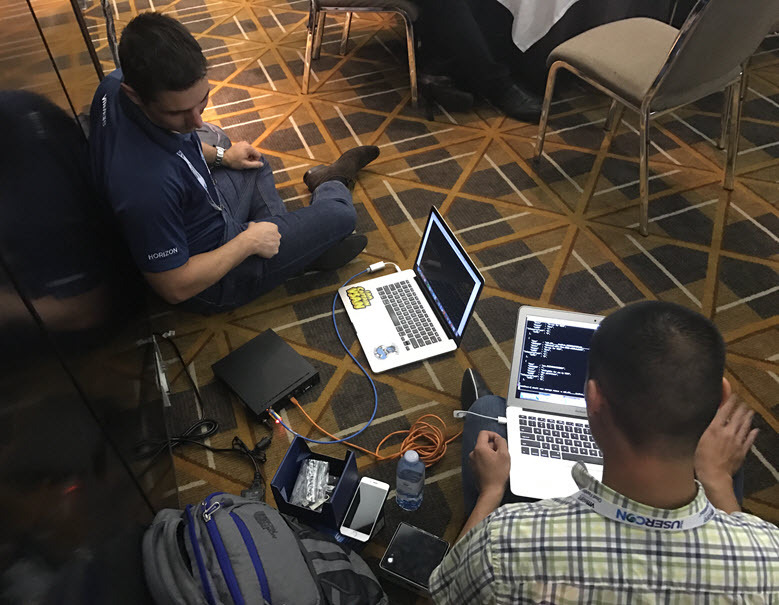 Prior to the Melbourne VMUG, fellow VMware colleague Tai Ratcliff reached out and offered to let us borrow his Supermicro kit for the demo which was great as the hardware was much beefier than the NUC. Thanks Tai! I had already been hearing great things about E200-8D platform but I had not had the opportunity to get my hands on the system to play with. After only spending a little bit of time with the platform while prepping for the VMUG event, I can see why is a pretty slick system for a vSphere/vSAN based home lab, especially if you need to go beyond 32GB of memory which is where the Intel NUCs currently max out at. The other appealing features for this platform is that it comes with 2x10GbE, 2x1GBe and an IPMI interface for remote management which is a huge benefit for not needing to connect an external monitor and keyboard. The system is also Xeon based w/6-Cores and can go all the way up to 128GB of memory. Tai had also recently published a blog article comparing the Supermicro E200-8D and the Intel NUC, which I think is worth a read if you are deciding between these two platforms. 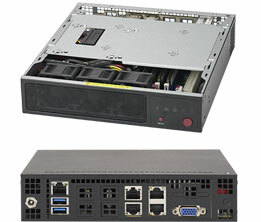 Note: If you are considering purchasing the Supermicro E200-8D or any other system for that matter, check out this exclusive vGhetto discount here. A couple of weeks back, Alan Renouf and I co-presented at the Sydney and Melbourne VMUG UserCon, here are some great write-ups about the events here and here. We were very honored to have been invited out and to also deliever the closing keynote. Having traveled halfway around the world, we thought it was only fitting to share something really special. For the last couple of months, we had been working on a small pet project that I personally had been referring to as the "vGhetto SDDC". This was not something we had not shared with anyone before and thought the VMUG UserCon was the perfect venue to demo our new project. For the session, we decided to rename the project/session to USB to SDDC (better ring than the previous title) which might give you a hint on what the project might be about. 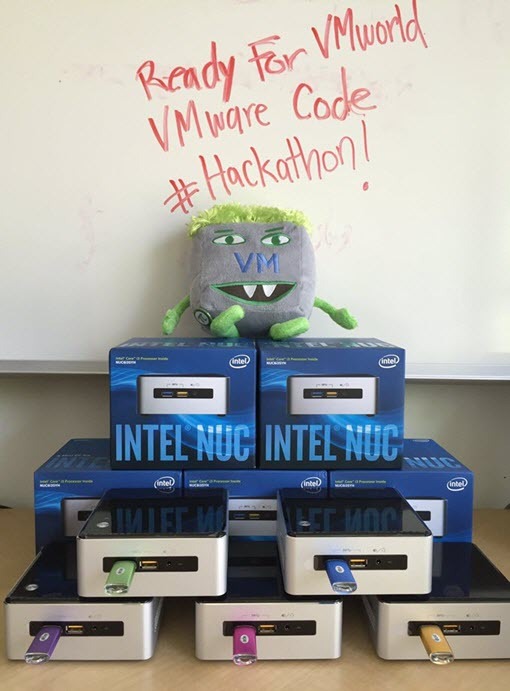 The inception for this project really stemmed from the work we did at last years VMworld Hackathon which was another idea that both Alan and I had came up and worked with the VMware Code team to deliver at both VMworld US and Europe. Like all great Automation stories, the motivation for this project was born out of pure laziness. With the huge success of the Hackathon at VMworld US, there was a huge demand for us to also deliver it again at VMworld Europe.